You’ve been on a shopping frenzy while staying abroad. Now that you’re about to return home, you realized you have to much stuff. You decided you’ll need to take everything with you somehow and you’ve found a service perfect for it: Eurosender. First, you need to know how to Prepare a Shipment correctly. Before placing an order, you need to know the measurements of your parcel. This means you need to pack it first. What now? How should you pack all your stuff? How should you prepare your shipment? We have the answers for you. Freight Shipping: When you are planning on sending parcels that exceed our standard measurements and pallets. To place a freight shipping order, you will need to request an individual offer. You should pack it properly for transportation with a courier service provider. 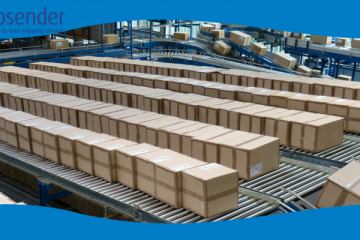 Be aware that shipping often involves reloading and mechanical sorting in logistic centers. 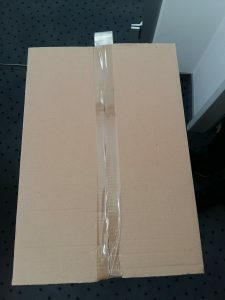 Your package must be properly closed and sealed, but also adequately packed to avoid damage in the unlikely event of a fall or hit (from the height of 1 m). Do you have any questions? Feel free to contact us! Duct Tape – for sealing the box. Duct Tape – Any stationery store, hardware store or supermarket. How to properly prepare a shipment? 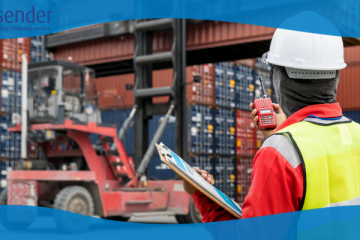 There are restrictions regarding the weight and dimensions that need to be taken into consideration when you prepare a shipment. Make sure you don’t exceed the weight you specified on the order process. The weight of your parcels is checked at logistic centres. There is the possibility that your parcel will be picked up but later rejected in the depots. In this case, the parcel will be returned to the sender without any refund because the service is considered as completed. You can change the weight of the parcel, but only if you contact us early – before getting the confirmation e-mail from us. If you want to change the weight of the parcel after that, sometimes it is possible. In this case, you will need to contact us via e-mail to help@eurosender.com. In order to avoid any trouble, please make sure you know the weight of your package before placing the order with us. Maybe you could go to the local post office and check the weight of your parcel. Length + 2 times the width + 2 times the height should not exceed 300 cm. The length represents the longest side of the package or suitcase and cannot exceed 175 cm. You can also check the dimensions of your packages with our online size checker. All items other than hard suitcases covered with plastic stretched film need to be packed into a cardboard box. If you are planning on putting your goods into a hard suitcase, the suitcase has to be wrapped in several layers of plastic stretched film. This protective material is usually meant for kitchen and it is also done at airports. At stores that sell building materials, you might find a thicker kind of plastic film. The plastic stretched film is necessary to prevent damage to the exterior of the suitcase. If your suitcase has handles, it should be lowered into the suitcase to avoid it from being broken. If you have a soft suitcase or a travelling or sports bag/backpack, you should pack it into a box. When you prepare a shipment, the box should suit the type, size, and weight of your items. It should be of good quality, moisture-resistant and with double cardboard walls. Protecting the corners, surfaces and edges are also very important. The heavier the content is, the more stable the outer packaging needs to be. New boxes are preferable. Used boxes are better when shipping resistant items. When reusing a box, remove all old labels, and make sure it has no holes, tears, or dents. Many stores have empty cardboard boxes that you could take home. Your local post office might sell new boxes, as well any store that sells building materials. Goods shouldn’t move inside a box. All empty spaces should be filled with proper cushioning. The cushioning material used should fit the items being sent. There should be no direct contact be the items and the outer packing. 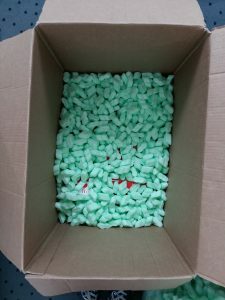 For heavy and sensitive items, styrofoam moulds would be better, as they fit the objects precisely. Make sure you wrap and tape all sharp and protruding edges. 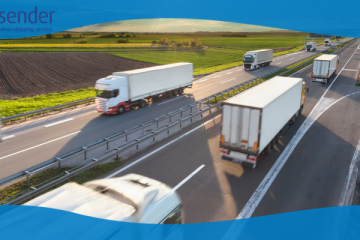 Robust sealing is indispensable for secure transport. You should make sure that the box is wrapped with duct tape and sealed well on all sides. You should evenly apply at least three strips of packing tape, at least 5 cm wide, across all flaps and seams, top and bottom. The heavier or larger the parcel, the stronger the adhesive tape needs to be. Do not stick any labels onto the prepared parcel. Instead, make sure you remove all old labels to prevent confusion. The courier will provide you with the appropriate item label (with all the necessary information) upon pick up. Nonetheless, we recommend that you pack a copy of the payment confirmation with all of the relevant details on top of your package. This will make locating and delivering your package much easier in the unlikely event of damage or loss of the label. You should never try to stick two or more boxes together with adhesive tape or rope – one package should always consist of one box and not of various stuck together. Each parcel gets one tracking number. If the boxes fall apart during transport, the courier company responsible for it will not know where they belong. As the tracking number is given to each parcel, the attached box would not have any data on it. If the items being sent too big for a standard shipment (you can check the dimensions here), they have to be shipped through freight. Prices for freight differ from the ones for standard shipping. Normally, it includes all kinds of different sizes and weight, so we address each case separately. By placing an individual offer, we will personalize the price according to the specific details of your package. 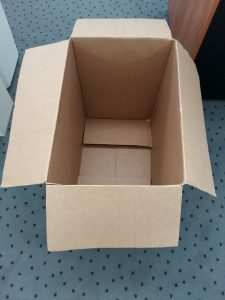 You can send bigger items individually, for example, in a box (the same rules for packing apply here). If these items weight 50 kg or more, they need to be placed on a nonskid and sturdy pallet that allows easier handling (usually by a fork-lift). Before loading a pallet, you should make sure the pallet is not rotten or damaged. A damaged pallet will only get worse through handling. You should also make sure the weight of the loaded pallet is below the pallet’s weight limit. Otherwise, you will have to place an individual offer. After checking, make sure that all items are properly secured for transportation. They need to be uniformly fixed on a pallet or on any other base, allowing it to be handled by a forklift. Goods must be attached to the pallet in a way that assures their stability until reaching the destination. Square and rectangular products are the easiest to load, while odd-shaped products can be troublesome. It is important to centralize the weight as much as possible. Use load-protector trays, bands and stretch wrap film to protect the shipment. An additional ‘tamper tape’ can be wrapped around the load to ensure nobody interferes with the parcel. Place the order for shipping at least 2 days before your departure from the location, to be on the safe side. 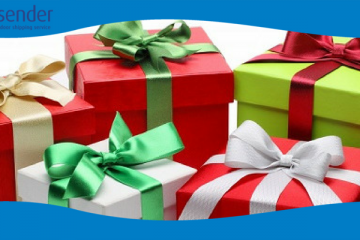 Try to be early when sending shipments during the festive periods. As you can see, it is fairly simple to properly prepare a shipment. 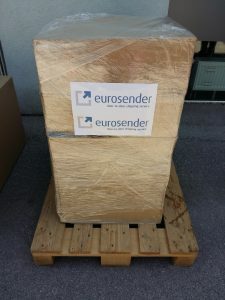 If you still have doubts about packing and shipping, Eurosender’s packing and shipping experts are always there to help you. Feel free to reach us on any of our channels! 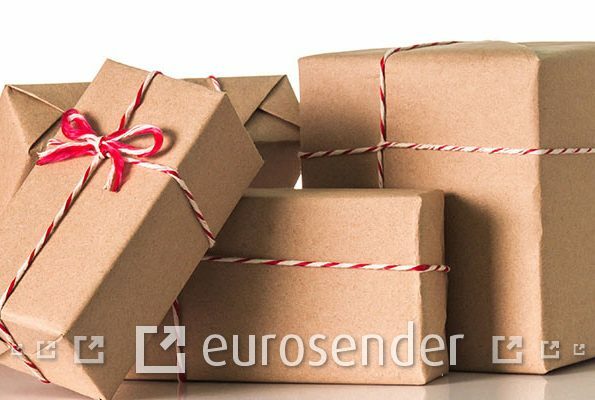 Book your shipment with Eurosender! What Is a Misrouted Parcel? 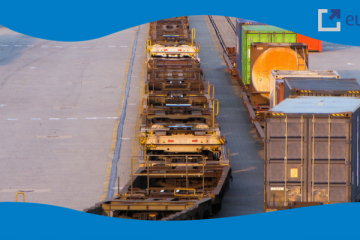 Rail shipping vs. road shipping. Brief comparison. What is a Consolidated Shipment?